Who knew ‘Miami 2 Ibiza’, one of the Swedish trios most iconic singles, would have come to life within the past year. After making their return at Ultra Music Festival Miami in 2018, the three Swedes have just confirmed a new date in Ibiza which brings them full circle. 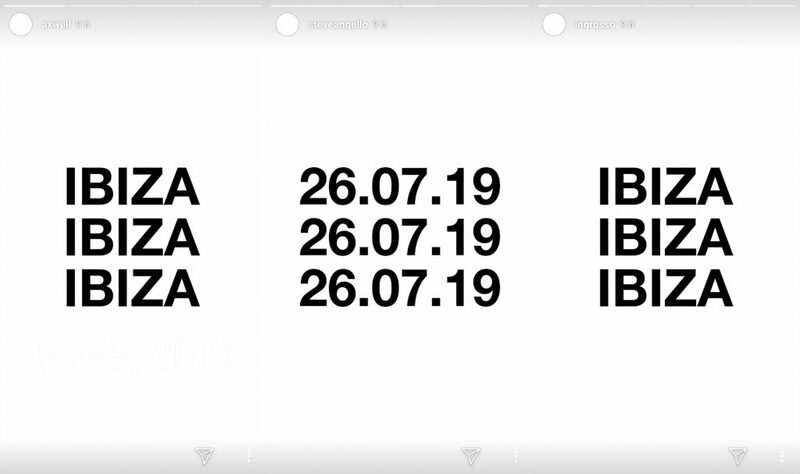 After announcing multiple European and Mexico dates, Axwell, Steve Angello and Sebastian Ingrosso took to Instagram to confirm that they will be heading back to the Balearic islands this coming summer as a group. No venue has been since announced, however rumors are being tossed around heavily that they may be performing at Ushuaia. This show will be Swedish House Mafia‘s first performance on the island since 2013. With rumors that the trio will be at Tomorrowland and Ultra Europe, it seems they are in for a very busy summer this year.